Unparalleled experience and expertise, combined with complete transparency and independence. Working on a claim is a team effort and we have the strongest in the industry. 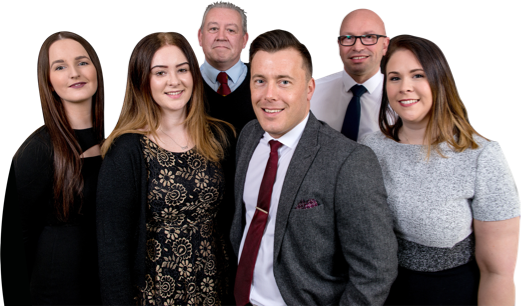 Harris Balcombe’s award winning team has a combined experience of more than 140 years, which is unmatched by any other insurance claim consultancy in the UK. No one else has our level of understanding of all types of claims, or a better track record handling them. Our conscientious approach and consistently exceptional results has led to clients continually recommending our services. Our professional attitude means we are also highly respected by insurers, loss adjusters and brokers. Unlike other parties involved in the claims process, you are our sole priority. We work on your behalf to make sure you get everything that you are entitled to. We thoroughly examine the fine details of your policy and aim to restore your business or home to the same state it was in before the incident, if not better. We give you the big picture, so you can pick the option that best suits you and even gain something positive from your loss. In 2008, the Harris Claims Group merged with Balcombe Group PLC to create the oldest and most prestigious claims recovery specialist firm in the UK. The merger signaled the arrival of a new powerhouse that still maintained each firm’s core values. The two companies became authorised by the FSA and were responsible for driving change that improved standards across the sector. Pioneering high standards in the industry remains a key part of the firm’s work today. Working on a claim is a team effort and we have the strongest in the industry. We have experts in all areas of claims management and they are committed to working for you. With offices spread nationwide, we are able to call upon a wide range of skills to best serve your claim, and to respond as quickly as possible. Over the years, we have amassed a list of highly professional contacts, including solicitors and surveyors, whose advice and services we can use to make sure you receive the most relevant support for your case.